Dyson vacuums dominated the nominations in our Kinja Co-Op for best vacuum, but they can be prohibitively expensive. 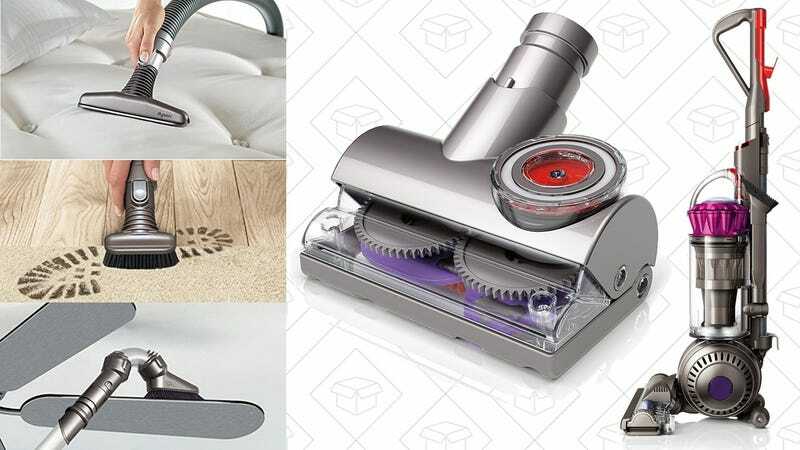 Today though, refurbs of the popular Dyson Ball Animal Complete are down to $260 on Amazon, one of the best prices we’ve seen. The Dyson Ball includes a brush that automatically adjusts when you move from carpets to hard floors, and seven (!!) hose tools to clean everything from your mattress to your stairs to the tops of your ceiling blade fans. And yes, it rests on top of a ball for easy maneuverability. This price is only available today, and will probably sell out early, so get yours before they’re all sucked up.